We introduce sharpSAT, a new #SAT solver that is based on the well known DPLL algorithm and techniques from SAT and #SAT solvers. Most importantly, we introduce an entirely new approach of coding components, which reduces the cache size by at least one order of magnitude, and a new cache management scheme. Furthermore, we apply a well known look ahead based on BCP in a manner that is well suited for #SAT solving. 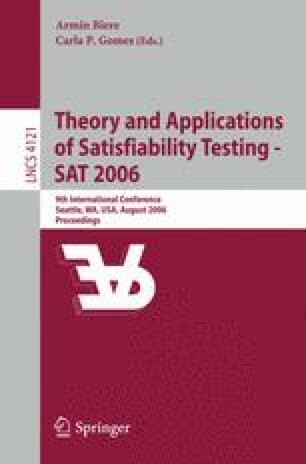 We show that these techniques are highly beneficial, especially on large structured instances, such that our solver performs significantly better than other #SAT solvers.